I have two more bunny cards to show you today. Let's look at the turquoise one first. Place a rectangle of plaid paper on the left front of the side-folded A2 notecard. Adhere the large white circle on top of it. Add the plaid circle next with one edge up against the top edge of the white circle. Stamp "Hoppy Easter" in Tide Pool ink. Line up the Jumping Bunny Circle with the Grass Stitched Circle Frame with the bunny poking out of the grass. Glue the tail on the Gentle Bunny and pop dot him in the lower left corner on the plaid paper. I lined the inside of the notecard with plaid paper and a turquoise doily on the left and a soft subtle turquoise flower print on the right, light enough to write over. 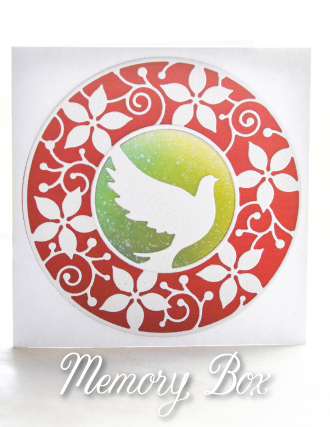 I used the same dies but different papers for this card and placed the die cut images on a white paper doily. 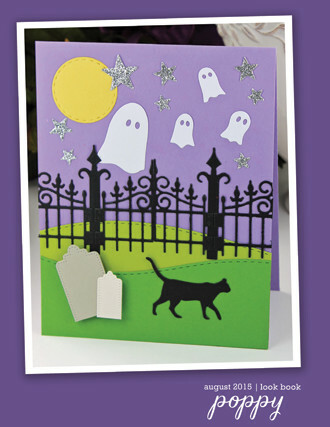 This is one of the cards we'll make on Wednesday at the Senior Center. We'll also use many more of the bunnies on purple tags for Easter goodie bags (tied closed with the carrots). So cute! Happy Sunday everyone! 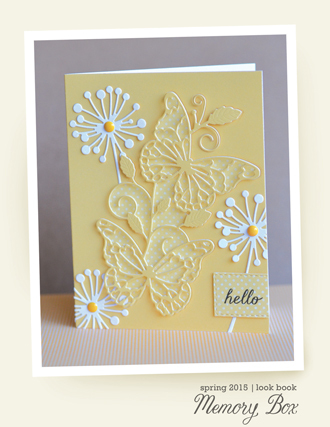 It appears I am on a butterfly roll and have a couple more really easy clean and simple (CAS) butterfly cards to share today. 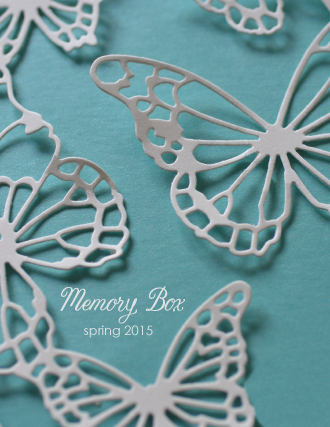 Then again, it’s not surprising since Memory Box offers so many gorgeous butterfly dies. Some of them come with a matching shadow die, while some do not. But there are two easy ways to create that shadow if the latter is the case. 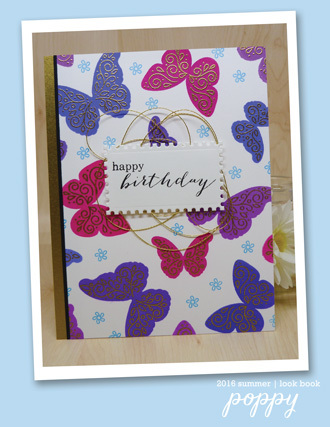 For my first card, I took the butterfly die from Butterfly Heart Frame and created a DIY stencil from acetate. Blueprint Sketch, Mermaid Lagoon and Cracked Pistachio distress inks were then blended through the stencil onto regular white cardstock. The sentiment from Springtime Typewriter stamp set was stamped with Blueprint Sketch distress oxide ink and heat embossed with clear embossing powder. 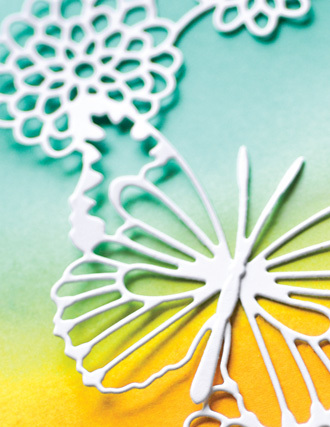 The butterfly with antenna/body were die cut twice from white scraps and white glitter paper then stacked. Mermaid Lagoon distress ink splatters were added to finish. My second card used an even simpler method to create the shadow. Simply die cut directly from the card panel, then back the opening with color cardstock, pattern paper, or whatever you like, etc. For my card, I backed the opening with a leftover alcohol ink piece. The butterfly this time was die cut from white scraps and silver foil paper. 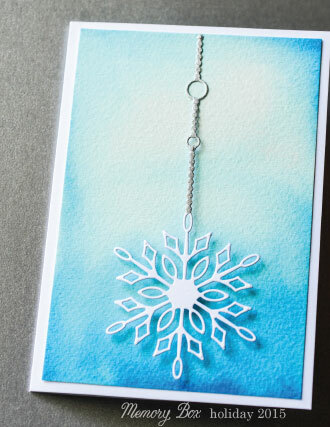 The sentiment was heat embossed with silver embossing powder to match. Besides being simpler, this second method allows dark cardstock to be used. And that concludes this post. We are half way through our Clean and Simple challenge this month, so there is still plenty of time to link up your CAS entries. Thank you for hanging with me. Have a wonderful week. 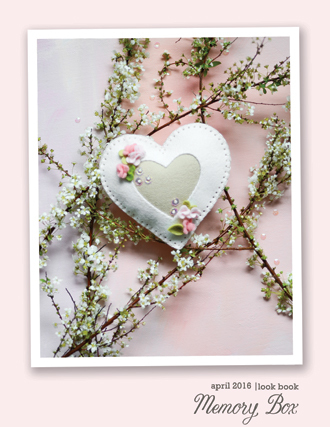 A Wildflower Circle window card sets the scene for the Gentle Bunny on a sparkly Easter card today. 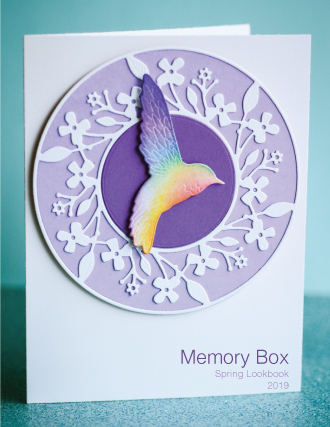 Glittery pink, violet and purple blossoms from the Forget Me Not Blooms create a bright background. The sweet bunny is cut from textured gold paper to resemble a foil-wrapped chocolate treat...I hope! Happy weekend everyone - Jean Okimoto here with a just-in-time Easter card. It's amazing how fast the year is flying by. 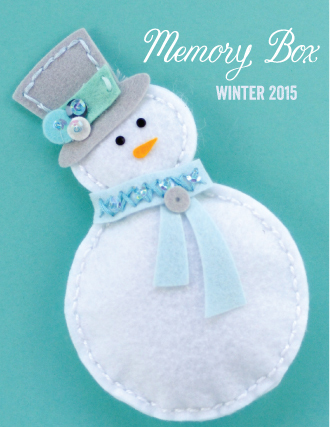 Thank goodness we have so many great Memory Box dies and stamps to keep up with the holidays. 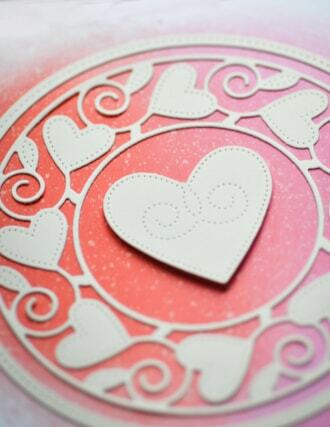 Cut a circle on a side-folded A-2 card of textured white cardstock with the 3" Circle Basics die. 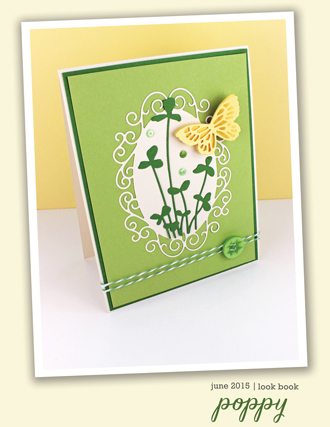 Cut Wildflower Circle from pale green cardstock. 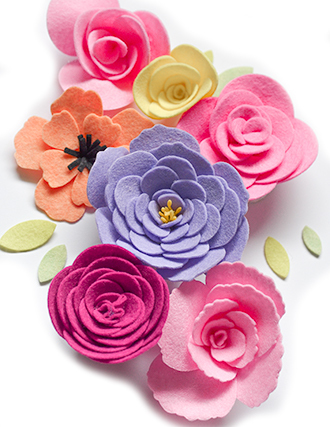 Cut pink, violet and purple glittered cardstock with the blossoms from the Forget Me Not Blooms set. 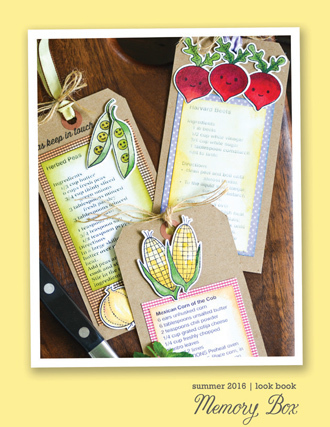 Punch ¼" circles of yellow cardstock for the flower centers. Trim the tips of the wildflowers that will be covered with the glittered flowers. 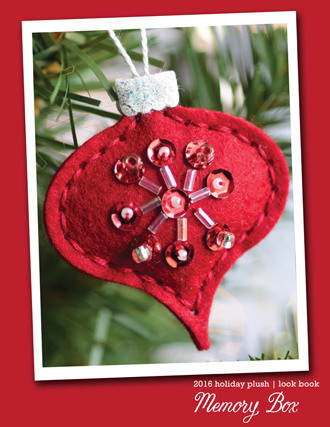 Attach just the circle portion of the Wildflower Circle inside the card. The adhesive from the glittered flowers will secure the ends of the wildflowers. Adhere the yellow dots to the background where you'll place the flowers - including the three little flowers. Add the glittered flowers. 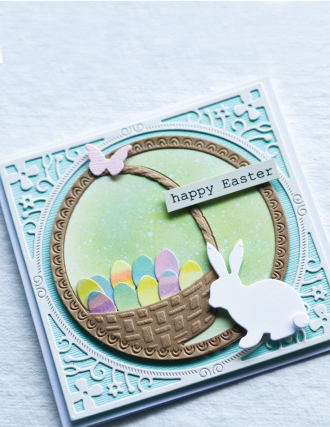 Attach gold textured paper or foil to an adhesive label (or sticker sheet) and diecut Gentle Bunny. 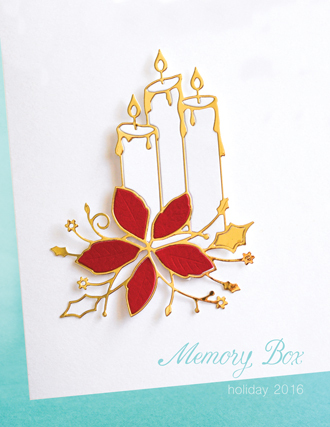 I've used some gold Shizen Design paper from Impress. Cut two more bunnies from cardboard and layer them for dimension. Wondering where the bunny's glittered green bow came from? It's cut with the fourth wildflower from the left (where the purple flower appears on the finished card). Trim the stem, then attach it to the bunny...and he's ready for Easter! Stamp the greeting - from the Springtime Typewriter Sentiments Clear Stamp Set - on smooth white cardstock with Lilac Posies Memento Luxe. 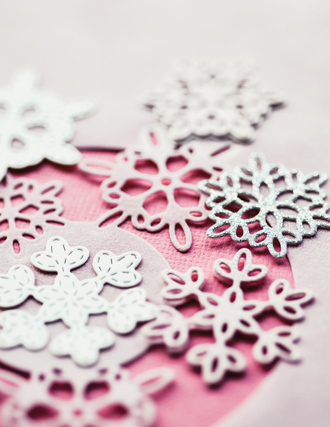 Emboss it with detail clear powder. Cut it with the smallest Rectangle Basics die. Attach the greeting and bunny to the card. Add pale green gem stickers. The wildflowers probably weren't designed to multi-task as bunny bows - but if it works, use it! 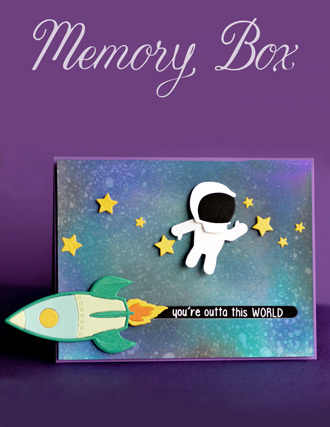 Look at your Memory Box designs and think of new ways to use them. You'll be surprised at how versatile they are! Easter is fast approaching, but we have time for one more Easter card. To make this card, I die cut the words Happy Easter 6 times and glued them across white cardstock. Once the words were glued down I trimmed my cardstock to 4" x 5 1/2". I die cut the Grass Stitched Circle Frame in the middle of the prepared card front. Using white cardstock I die cut the Grass Stitched Circle Frame and the Jumping Bunny Circle. I sponged the grass circle with Peeled Paint Distress Ink and glued it on top of the first die cut I did from the card front. I used only the bunny from the circle frame and inked it with Gathered Twigs Distress Ink. I also inked a strip of cardstock with Gathered Twigs Ink and white heat embossed the sentiment. I sponged the center of a white card base with Shaded Lilac Distress Oxide Ink. Using foam tape I adhered the card front to the card base. Then I applied glue to the circle of the grass die cut and adhered that back into the die cut circle. Next I glued the bunny behind the grass. To finish,I used foam tape to adhere the sentiment to the card front. 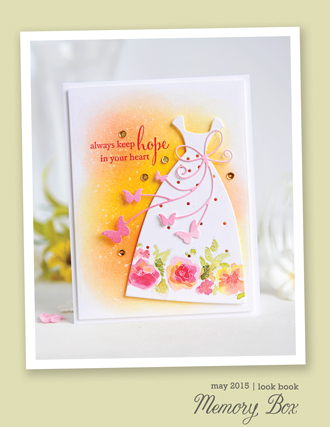 A sweet bird from the Feathered Friends Deep Edge Dies and the Side Butterfly Circle create a spring birthday card here today. 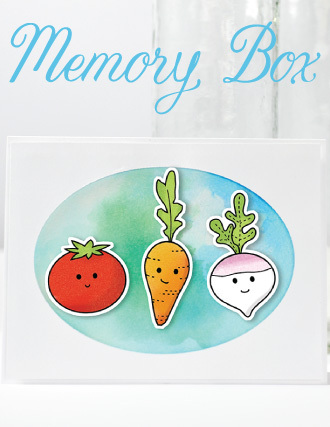 Pick a greeting from the Poppystamps Birthday Blowout Clear Stamp Set and you're ready to celebrate! Hello, Jean Okimoto here with combination of a favorite set from my stash - and a design from our Spring Collection. 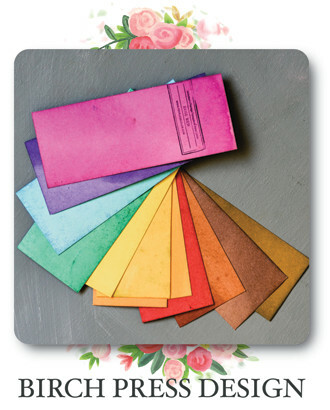 The Deep Edge dies are designed to cut through layers of fabric - so they're perfect for felt and special artpapers too. Attach adhesive label paper or a sticker sheet behind pale peach felt and cut the main section of the bird. Cut the overlay and wing from a pretty pastel print. Cut an extra wing from a scrap of the paper and layer it for dimension. I've borrowed the eye die from the owl - it's a little larger and stands out against the print. Cut the beak from orange cardstock. Assemble the bird - attach the wing with a tiny silver brad to add movement. 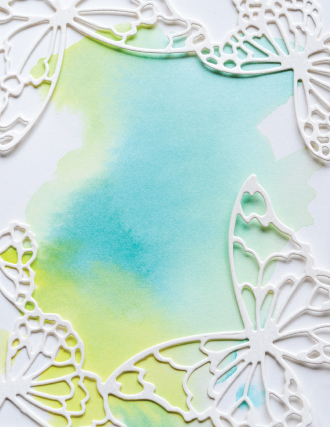 Prep the Side Butterfly Circle by rubbing it briskly with a piece of scrunched waxed paper to make it easier to remove the diecut. Cut the circle from pale green cardstock. 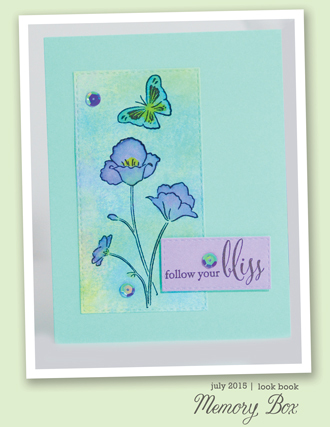 Stamp the greeting - from the Poppystamps Birthday Blowout set - on Snapdragon cardstock with Morning Mist VersaFine Clair. 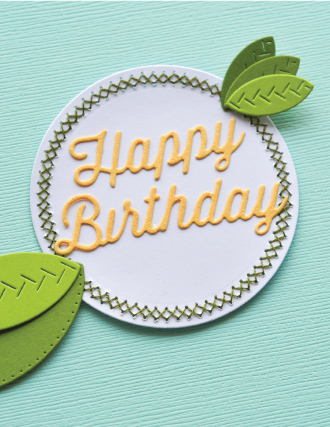 Dry the ink and trim the greeting with the 1-½" Circle Basics die. 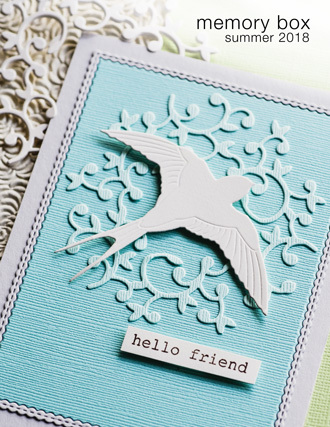 Attach the diecuts to a 5-¼" square white card - use foam dots for the bird. Add pale orange gem stickers. 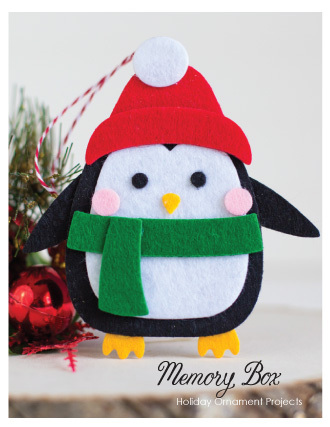 Mix felt with bits and pieces of printed papers from your stash and make a few extra birds - and an owl or two. 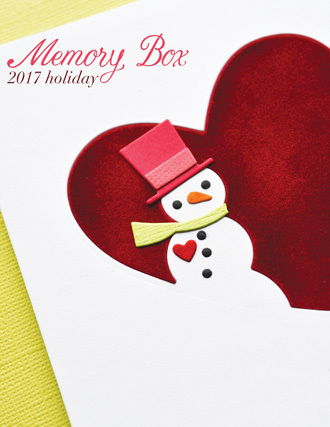 You'll discover some great combinations of colors and patterns - and handmade embellishments always add a personal touch to your projects. Thanks for visiting...see you again on Saturday! Celebrate a special birthday with the Cottage Flower Circle Frame and the Bold Friendly Greetings. 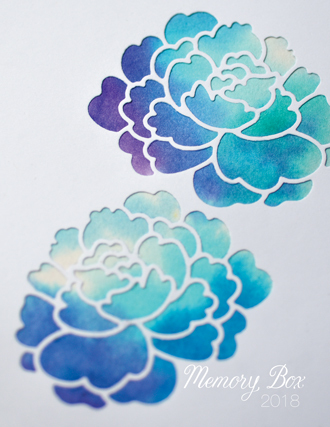 It's easy to color the delicate blossoms with bright pigment inks and emboss them for a glossy finish. 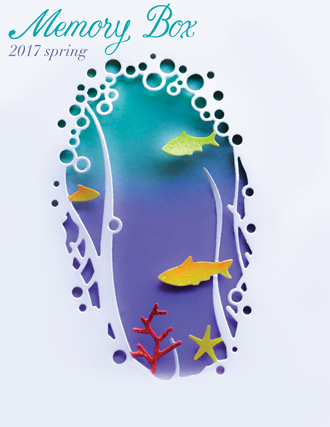 Hi everyone - Jean Okimoto here with a colorful spring design today. Prep the circle frame by rubbing it briskly with a piece of scrunched waxed paper to make it easy to remove the delicate diecut. This looks messy, but it's the easiest way to color the delicate Cottage Flower Circle Frame. 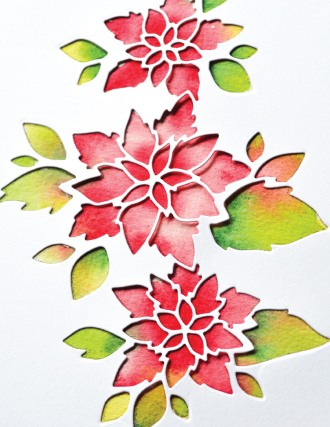 Diecut it from the smoother side of watercolor paper - don't remove the offcuts. 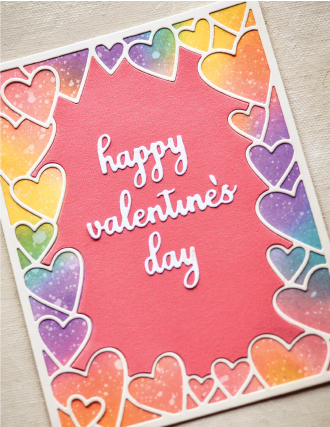 Use cotton swabs to color it with Imagine Crafts pigment inks - Radiant Neon Electric Pink, Radiant Neon Electric Coral, VersaColor Lime and VersaFine Clair Sunshine. Emboss it with detail clear powder, then carefully remove the offcuts. 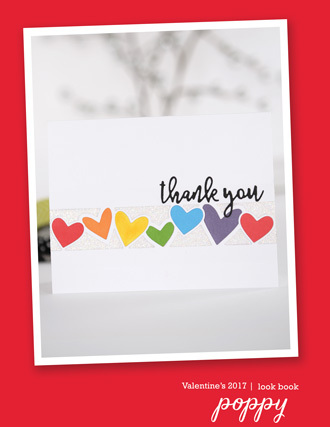 Stamp the greeting - from the Bold Friendly Greetings set - with Electric Pink. Stamp a portion of the dotted strip - also from the greetings set - with Sunshine. Emboss it with detail clear powder. Tear it so it resembles a short strip of washi tape. I like to use the serrated cutting edge of a tape dispenser to cut real washi tape - it's great for stamped strips like this too. 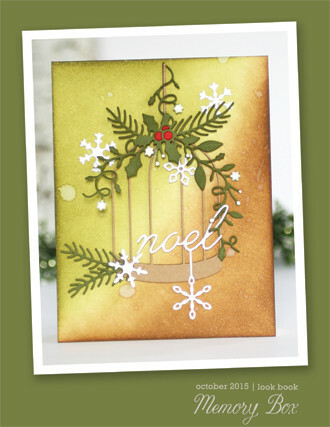 Attach everything to a white A-6 (4-½" x 6-¼") card. 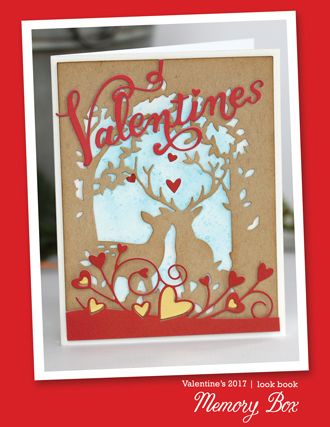 Diecut and color some extras - they'll be prepped and ready the next time you need a quick card for any occasion. Big thanks to everyone from last weekend's FRIENDS+FLOWERS and BEYOND THE BOX classes at Impress! Special thanks to Linda too - we loved your ChocoMochi snacks - the perfect combination of salty, crunchy rice crackers and rich chocolate! And thanks Ann, Erin and Lynne for helping everyone find the dies, stamps and papers for our spring projects. No classes this weekend - here's my spring schedule. Please call Impress (206 901.9101) if you can join us! Thanks for visiting...see you again tomorrow! Clean and Simple doesn’t mean you can’t play with techniques you love. It’s simply lots of white space. 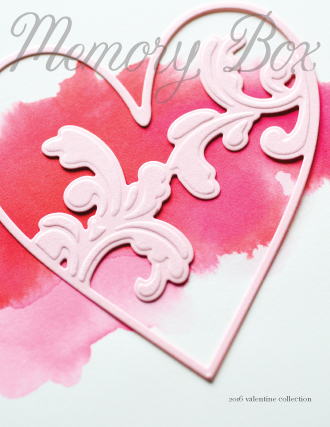 I started by creating a square card base and applied some embossing paste through a stencil. I then added a bit of watercolor to it. 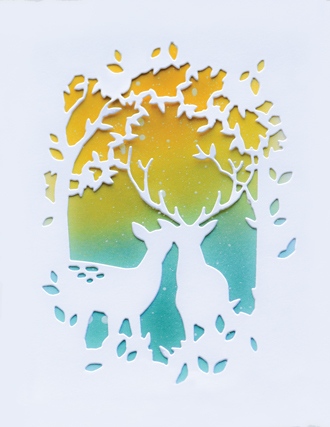 I then die-cut the floral twig twice using white cardstock. I added a bit of color on one of them and adhered it onto the 2nd. Die-cut. I then added a few washi tape stripes to ground the floral twig. Adhere the twig to the cardbase. Stamp and emboss the sentiment onto a black stripe. 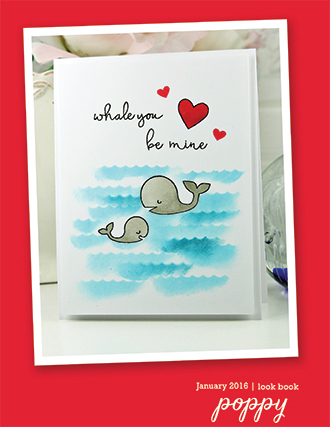 Mat it with a coral stripe and adhere to the card. 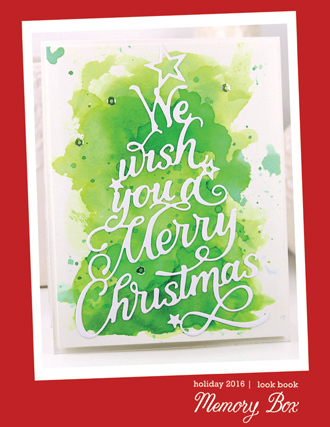 Hope you enjoyed the CAS mixed media style card. Have a nice day! 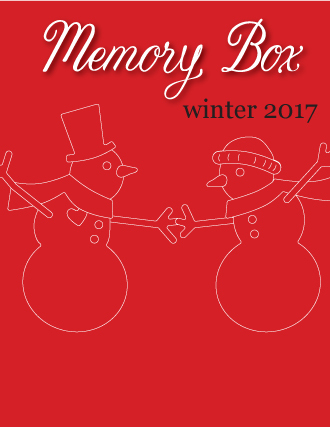 Maybe you'll recognize this first card from the introduction to this month's challenge. 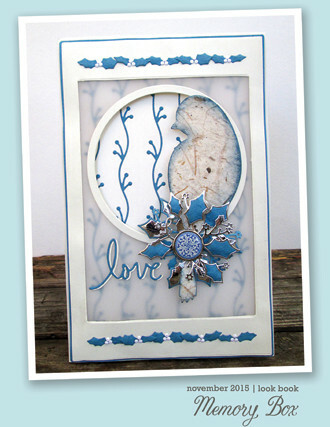 I chose to feature one die on a series of clean and simple cards for each season: BLOOMING FLORAL CIRCLE FRAME 94218. SPRINGTIME TYPEWRITER SENTIMENTS CL5239 using Hero Arts Tide Pool ink on a scrap of white cardstock. 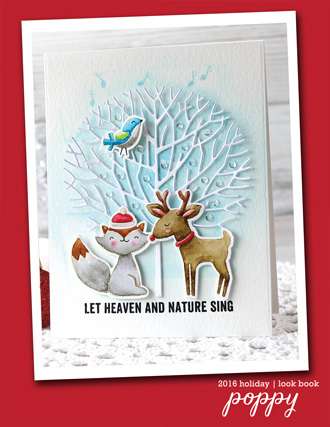 I layered everything up using a glue pen, tucking the sentiment under one of the branches and adding the small cut-outs on the end of that tag. Want an even cleaner and simpler version? Here I covered the front of a pink notecard with plaid paper, added the white cardstock Blooming Floral Circle Frame, and glued on a bow and a few small pearls. Summer card! 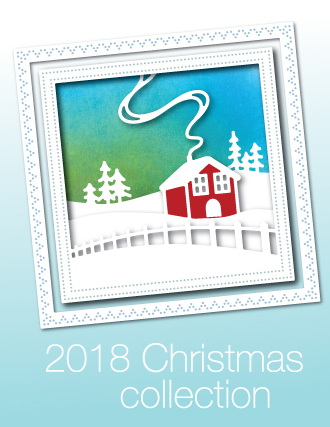 Here I've added fall and winter cards with the summer one. For the oranges fall card (which I made as a birthday card with a sentiment from Bold Friendly Greetings CL5236), I used a gold cardstock and a darker orange one for the circle frames and layered them just a bit offset before adding the ribbon bow. 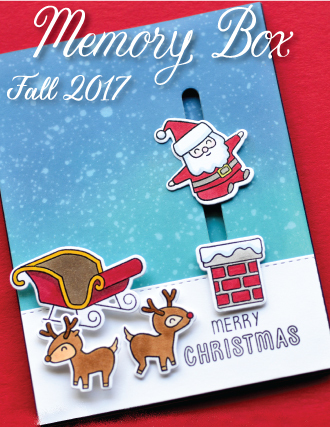 The winter dark chocolate card has a white cardstock circle frame over a kraft circle die cut to the same size and finished with a brown ribbon bow. I'm now thinking of other color combinations and celebrations appropriate for this design. So many possibilities! I also added coordinating papers to the inside panels of each card and also on the back--trying to use up some of the pretty papers from my 6X6 collections and scraps from previous projects. Greetings friends. 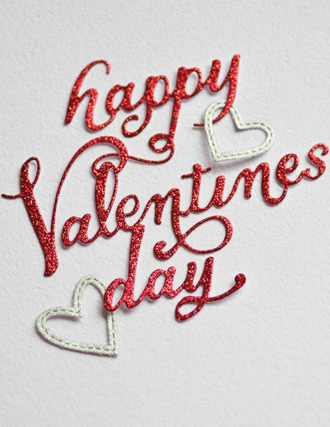 I hope you are having a wonderful weekend. Today I wanted to share a card that was inspired by this month's "clean and simple" challenge. As you can see from the picture, I used just the tulips without the circle and then cut everything out of white cardstock. You could cut it using different pieces of cardstock, but I found it easier to use white paper and then color the pieces with Copic markers. That way I only had to run the die through once and I could have white outlines for the petals and color the stems and leaves green. When I colored the tulips, I colored the smaller petals a shade lighter to add a little bit of interest. Hello there! No surprise, but I’m loving this month’s Clean and Simple (acronym CAS) challenge. As mentioned in the intro of the challenge, CAS is a simple card design that can be mass produced easily. It is also characterized by minimal layers, patterns, textures, embellishments and plenty of white space. So when I spotted my blue masking tape on my desk, I decided to use the simple masking tape technique to create these cards. Started by trimming two panels measuring 4.75”x3.5” from regular white cardstock. Inked the sticky side of a strip of masking tape by pressing onto a dye ink pad, then transferred onto the panels. Repeated for the remaining colors... and that’s all there is to the technique. Painter’s tape would work as well. If the felt ink pad type is used, a more textured spotty look will result. If the spongy ink pad type is used, then it will be more even and opaque. Because it is more opaque, white die cuts do show against it. The felt ink pad version looked better with black die cuts. 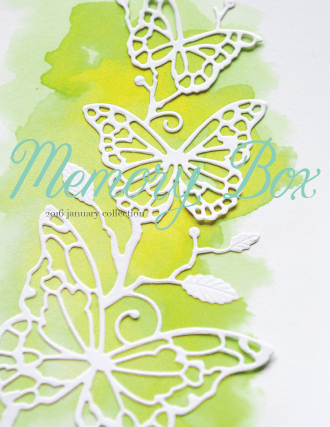 The diecuts are from the Butterfly Meadow die and the sentiments are from the Best Life Typewriter stamp set. The panels were popped up on fun foam for dimension and clear shimmer was applied to the butterflies for some sparkle to finish. Keeping these CAS, so no embellishments. And that does it for me. The challenge is open until April 29, 11:59 pm EST. Thank you for dropping by. Enjoy your weekend!